Product prices and availability are accurate as of 2019-03-25 06:11:06 EDT and are subject to change. Any price and availability information displayed on http://www.amazon.com/ at the time of purchase will apply to the purchase of this product. A different kind of company..we refine the objects used in your daily life: well designed, they can make life easier and add joy to a mundane task while being sensitive to our impact on the environment. Toothbrushes, floss and travel cases that are easy to use and great to look at. Replaceable heads - reduces environment impact. Uses 80% less than making a whole new toothbrush. Radial bristling - first toothbrush in the world to have it, makes brushing easier and more effective. 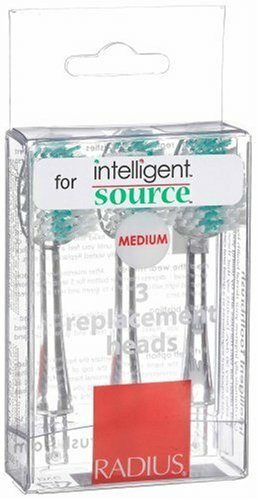 3,080 thin nylon DuPont bristles let you comfortably remove plaque and massage gums.